My wife Pat and I went on a trip to the United Kingdom the first part of August. On our second day we took a taxi to the famous Harrod’s Department Store. Pat wanted to shop. I wasn’t all that interested in Harrod’s and my wife doesn’t want me around when she shops, so I set off walking to see the one thing in London that I felt I just had to see while I was there: the Ardabil Carpet in the Victoria and Albert Museum. 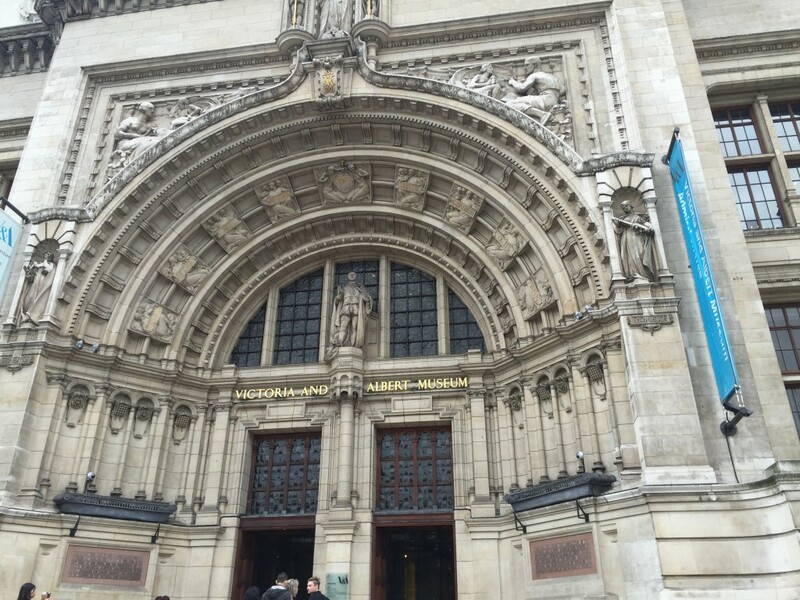 The museum is less than a half mile from Harrod’s. As you may know, gentle reader, the Ardabil Carpet is actually two carpets. After spending almost 350 years on the floor of a shrine in Ardabil before the shine was damaged by an earthquake, they were in tough shape when they both arrived in England in 1893. 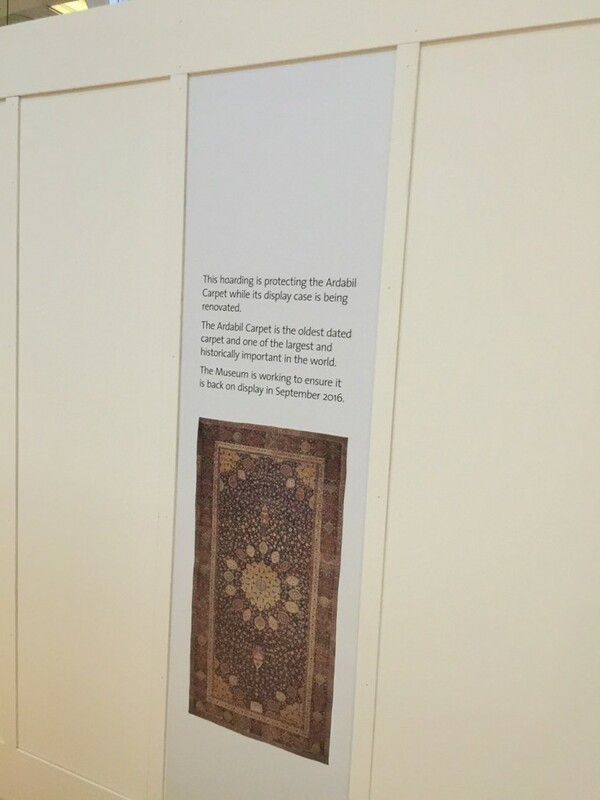 One of the rugs was cannibalized in part to repair the other and the repaired rug sits on the floor of the Victoria and Albert Museum to this very day. The other rug was purchased by an American. Another American, J Paul Getty, got his hands on it in the first half of the 20th Century and donated the rug to the Los Angeles County Museum of Art in 1950. Since I couldn’t get to the museum the last time I was in Los Angeles (about 1985), I never got around to see the rug there. I was determined not to make the same mistake in London. As you can see from the above picture I took with my Iphone, the Victoria And Albert Museum is magnificent. I marched through the huge doors, opened my man-bag for security and plunged into the depths of the museum to find…only this. This entry was posted in Tale of Two Carpets, Uncategorized by admin. Bookmark the permalink.